If you started using Wixie with students this past school year, you already know what kinds of things Wixie does and what students can do with it. You have probably also viewed student work and assigned activities from the library. This blog will help you find new ideas for projects that make sense for your learners as well as grow your skills with the Wixie student and teacher tools. Read Part 1: Getting Started with Wixie if you haven't used it before and read Part 3: Becoming a Wixie rockstar if you are already rocking with Wixie. I follow some amazing educators on Twitter who inspire me with their incredible ideas. 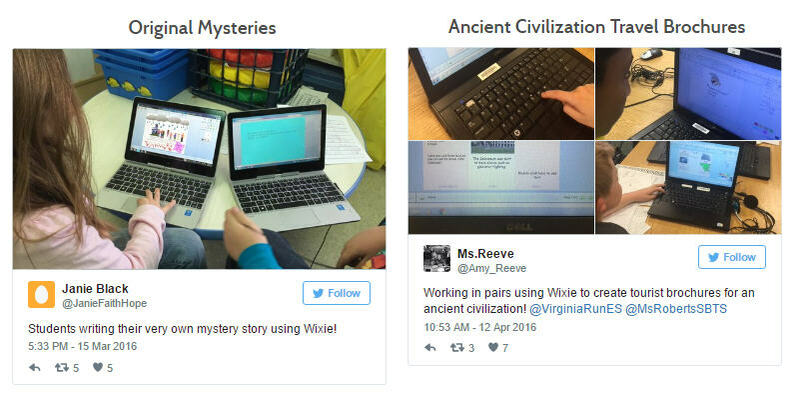 Even if you aren't a Twitter user, you can see some of the ways they integrate Wixie into their classrooms every day! If you prefer a more focused approach, we have subject area page for some of our favorite samples and connected to resources to help you replicate them. 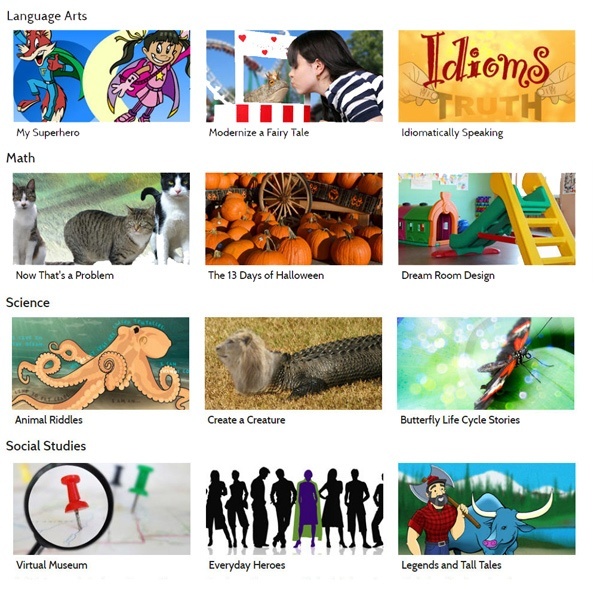 You can also find lesson plans for Wixie on Creative Educator! If you are looking for more global, process-oriented ideas, these articles can help you get started with some instructional approaches you may have been hearing about. If you used Wixie this year, you may have assigned Wixie activities from the library and even customized them for your students. Take a moment to put on your instructional designer hat and create your own Wixie activity from scratch! Consider a unit that your student's struggled with this year. Look at what you have taught in the past and search the Web for ideas from other educators. Consider the range of learners in your class and begin designing a set of activities and templates that will help them dig deeper and apply their learning. If you need ideas for your own activity, click the Activities tab and search the library with keywords related to your topic. If you find something close, you might be able to customize it instead of creating from scratch. 1. Project Information - adjust the title, description, grade levels, and connected standards. 2. Page content - change background and object features. 3. Instructions - edit the text and record voice instructions. You can also see what other teachers created through the Wixie templates they have shared at the Trading Post. If you have completed all of these steps and still want to learn more, check out Part 3: Become a Wixie Rockstar.